Alan Buchanan Wardrop was born in Tasmania, in King Street, Sandy Bay, Hobart on 28 July 1921. He was the second son of James McAllan and Ethel May Wardrop (nÃ©e Buchanan). His father was born in Clydebank, Scotland in about 1886 and the family migrated to Tasmania around 1889. His father James worked for the Tasmanian public service (serving in several departments). Alan’s mother was born in Hobart in 1889 and was the homemaker. There was no tradition of science in the family but Alan noted, when interviewed many years later (Blythe 1998), that his father was always very supportive of his pursuing science whereas he viewed his mother as more protective although never opposed to his scientific ambitions. He commented that I don’t think she wanted me to have to work too hard in life! He attended Albuera Street Primary School from 1928 and Hobart High School from 1934. The high school had several notable teachers and, with Hobart being so small, some teachers taught at both school and university. Alan many years later remembered Gordon Brett and Victor Crohn (Blythe 1998). Biology was not taught to male students at that time but Hobart’s attractive setting and in particular walks to the summit of Mount Wellington helped foster his interest in the diversity of vegetation as well as providing a favourite recreation. A £50 University Scholarship helped Alan’s move to the University of Tasmania in 1939. Degree courses in botany had started only in 1938 and, with a background in the physical sciences, his initial goal was to study biochemistry. This he pursued through first-year studies of physics, chemistry, mathematics and botany. In 1940, he won the Florence Sprent Prize for Zoology and the University Prize for Physics. After third-year botany and chemistry, he took honours biology in a class of some fifteen students. Notable influences during his undergraduate days were: the teaching of Leicester McAulay, the professor of physics, not only for his studies of electric fields around growing roots but also for his eccentricities in dress and manner; the teaching of Dr Hugh Gordon, the university’s first appointment in botany, and the teaching of Professor EE Kurth in chemistry. Graduating in 1942 during the war, science students were put into reserved occupations and Alan pursued an MSc in the Chemistry Department. His MSc, supervised by Professor Kurth and BJF Ralph, was awarded in 1944 with a thesis entitled ‘An investigation of the acid hydrolysis of the wood of Eucalyptus obliqua L’Her’. Results from the study were published with Ralph in 1946. In 1944, Alan began training as a Royal Australian Air Force navigator at Balnarring, on Western Port Bay in Victoria, after which he went to Mount Gambier, in South Australia, for air navigation training. Alan derived great satisfaction from his navigational training and found it immensely satisfying to be able to calculate where his plane should be and then look down and have the prediction verified. Shortly after the war’s conclusion, he worked for a year as resident tutor in chemistry at Trinity College, University of Melbourne. A detailed account of Alan Wardrop’s research achievements can be found in the 2007 biographical memoir written by Richard E Williamsom, Huntly G Higgins and Bruce A Stone available by following the link in the Source details below. He published a total of 112 papers including 16 in the prestigious international journal Nature. Alan joined the CSIR Division of Forest Products situated on the Yarra Bank in South Melbourne in 1945 as an Assistant Research Officer in the Wood Structure Section. He progressed rapidly through the various professional grades ‘ Research Scientist, Senior Research Scientist, Principal Research Scientist and Senior Principal Research Scientist ‘ and was appointed head of the Section of Wood and Fibre Structure, as it had been renamed, in 1961. He resigned in 1964 to return to the University of Tasmania as Professor of Botany. During his two decades at Forest Products, Wardrop made a massive contribution to plant science. Almost all Alan Wardrop’s research concerned plant cell walls, the polysaccharide-rich structure assembled just outside the plasma membrane so forming a cage surrounding almost every plant cell. Young, expanding cells are surrounded by a thin primary wall that both controls growth and is also remodelled by it. When growth is complete, many cells ‘ notably those forming wood ‘ deposit a thick secondary wall. New polymers reach the wall through the plasma membrane so that continuing synthesis displaces the components of the original wall away from the plasma membrane. A mature wall is therefore layered from youngest to oldest on passing from its inner to its outer surface. Different layers can have quite different structure and composition, reflecting changes over time in the cell’s activity. Walls contain many polymers but cellulose is particularly noteworthy. Long, unbranched chains of glucose residues crystallise to form cellulose microfibrils that are only a few nm wide but many µm long. Crucially, cells control the orientation of the microfibrils they deposit. Orientation can change with time, producing the distinct layers of polylamellate walls, and cell growth can reorientate microfibrils in the primary wall after they are deposited. The structure of the primary wall is central to plant growth and the structure of the secondary wall is of great industrial interest because it determines many of the properties of timber and wood pulp. Both types of wall are dominated by cellulose microfibrils although lignin ‘ a phenolic polymer that encrusts cellulose in the secondary walls of wood fibres ‘ accounts for much of wood’s rigidity. fibre structure in relation to utilisation. His work, particularly that published between 1947 and 1960, settled many fundamental issues of wood fibre structure. In this, he employed both the ‘classical’ tools of X-ray diffraction and optical microscopy and the techniques of electron microscopy that, beginning in the 1940s, gave more direct views of wall structure. 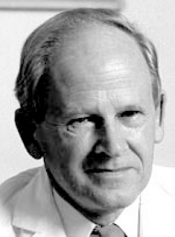 In 1964, Alan Wardrop left CSIRO to take up the Chair of Botany at the University of Tasmania on 1 September. He succeeded Professor Newton Barber FRS, an expert in plant cytogenetics and ecological genetics of eucalypts. Asked about the move when interviewed some thirty years later, Wardrop found it hard to give a specific reason but mentioned a wish to teach and the changes going on in CSIRO. He mentioned that he had little sympathy with the organisation’s discussions about what constituted pure and what applied research. Things moved quickly in Hobart, where he secured a large grant to purchase a Siemens electron microscope and enjoyed a full introduction to teaching by lecturing to students in each of the three years of the BSc course. Unfortunately, his younger daughter’s illness meant she could not be moved to Hobart away from Melbourne’s medical facilities. In late October 1965, Wardrop wrote to the Registrar at the newly created La Trobe University enquiring about that university’s Foundation Chairs in Biological Sciences and was told (in a letter of 8 November) that the selection committee might consider a late application, should he wish to apply. His application was forwarded to the committee and Wardrop was offered the post on 29 November. In announcing his appointment in a press release and in a personal letter to Professor Keith Isles (Vice-Chancellor of the University of Tasmania), Dr David Myers (La Trobe’s Vice-Chancellor) was at pains to stress that Wardrop’s departure from Tasmania was for personal reasons and did not reflect adversely on the University of Tasmania. The latter agreed to release him and he joined La Trobe on 15 January 1966. At La Trobe, Wardrop was the dominant influence on the Botany Department in its first twenty years and, as first Dean of the School of Biological Sciences, on the establishment of other Departments within the School. Wardrop’s appointment to the Foundation Chair in Biological Sciences came very early in La Trobe’s history. The first meeting of the Interim Council had been held only a year before (on 19 December 1964) and Wardrop, together with three other newly appointed professors, was elected by staff to join the Interim Council in 1966. The following year, the first year that undergraduates were admitted, he was appointed first Dean of the School of Biological Sciences, one of four schools then in existence. Wardrop served several times as Acting Vice-Chancellor, including in 1973 when the jailing of La Trobe students for trespass or damaging the US Consulate in Melbourne led to violent demonstrations on campus. Against the advice of administrators, Wardrop initiated a dialogue with the students. At the meeting, he was interrupted by a staff member who had experienced totalitarianism in Nazi Germany and spoke about the evils of totalitarianism of any kind. Wardrop turned the situation around by directing the staff member to sit down and shut up. He went on to tell the meeting that he had been to see the jailed students and proceeded to explain what the University stood for. He won applause from students, staff and the administration and the violence receded. Clearly, there were considerable calls on Wardrop’s time and energy in establishing a school and department, plus a requirement to assemble research equipment. Nonetheless, beginning with papers in 1968, Wardrop continued his interests in: cell wall ultrastructure, publishing in his own right and with some of the department’s first visitors and PhD students. They used the recently developed freeze etching technique to study, among other topics, the mechanism governing the formation and orientation of microfibrils, nuclear pore structure and the microfibrils in the test of an animal making cellulose ‘ the ascidian, Pyura stolonifera. An essential contributor to the success of this research and that at CSIRO was Wardrop’s senior technician, Fred Daniels. He followed Wardrop to La Trobe and, as well as scrupulously maintaining the electron microscopy facilities, carried out much research and taught electron microscope techniques to students (undergraduate and graduate), staff and visitors. It could be a chilling experience to walk to Fred’s office to break the news that your carelessness had led to a malfunction that Fred would have to fix. In the final decade of Wardrop’s career, his research increasingly depended on sabbatical leave. A stay in 1978 with Professor MMA Sassen in the Department of Botany, Nijmegen University, allowed him to renew his long-standing interest in microfibril orientation in elongating plant cells. While there he also organised with Sassen the first International Cell Wall Meeting held in May 1978 (subsequent meetings have held at approximately three year intervals). Sabbatical leave in 1986, with R Malcolm Brown Jr in the Department of Botany, University of Texas at Austin, furthered his interest in the plasma membrane structures synthesising cellulose microfibrils. Here Wardrop turned to the electron microscopy of the plasma membrane enzymes (terminal complexes) that synthesised microfibrils. Alan Wardrop retired in December 1986. He was undoubtedly one of the most distinguished and influential forest products scientists of his generation in both the Australian and international contexts. He was a leading expert on plant cell wall ultra-structure who made major contributions to our understanding of the structure of secondary walls and of how that structure affected the industrial uses of wood fibres. His work integrated information from observations with polarised light, X-rays and electron microscopy. His impact can be seen by Ron Evans‘ recognition that the work of Wardrop and colleagues in the 1950s identified many of the features of wood fibres that are assessed fifty years later with SilviScan-2, as a central part of the Division’s goals to select trees with desirable properties for particular end uses (see SilviScan® rapid wood analysis). Wardrop had a mastery of the indirect methods of deducing wall structure from X-rays and polarised light, and was one of the important pioneers of electron microscopy in Australia. Practically all of his contributions were profusely illustrated by elegant light and electron micrographs. These in themselves provide great enlightenment, but they are particularly powerful when supplemented by data derived by other methods and by Wardrop’s sophisticated interpretations. His work on cell walls drew on several of the basic sciences in pursuit of his botanical questions. He was not interested in just describing things ‘ he was interested in understanding their function and the detailed processes that brought them about. He used whatever techniques were available to help him arrive at an answer ‘ and those answers are recognised as major contributions to the study of plant cell walls. Alan Buchanan Wardrop died in Melbourne on 20 May 2003.